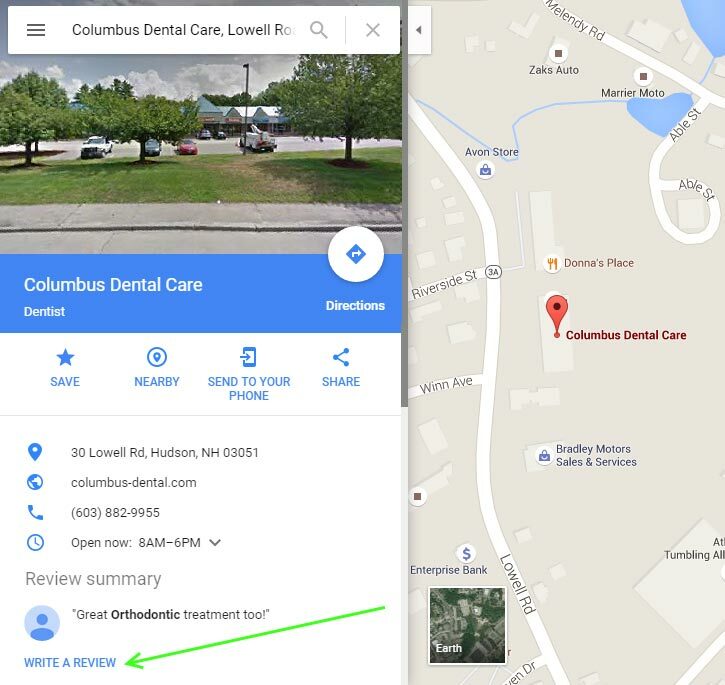 Please Take a Moment to Let Us Know How Well We Did Our Dentistry and How You Feel About Your Experience at Columbus Dental Care. We appreciate you taking the time to review us. Your comments are welcome and completely confidential, and your input helps us improve both our dental services and your dental experience. We have also made it easy for you to review us: you can fill out the form below, or review us on Facebook, Google or the review site of your choice. Thanks! Please fill in all information, including your Name and Email Address, especially if your experience with us was less-than-perfect. We can’t fix problems we don’t know about, and making things right is just as important as getting things right. Thank you! How was the dental treatment you received? How comfortable were you during your treatment? Was treatment explained so that you have a clear understanding of your dental situation? Were your payment and financing options explained to you? How long did you wait before being seated in an exam room? Was the reason for any delay above explained to you? Please share any comments with us, positive or negative. Thank you! 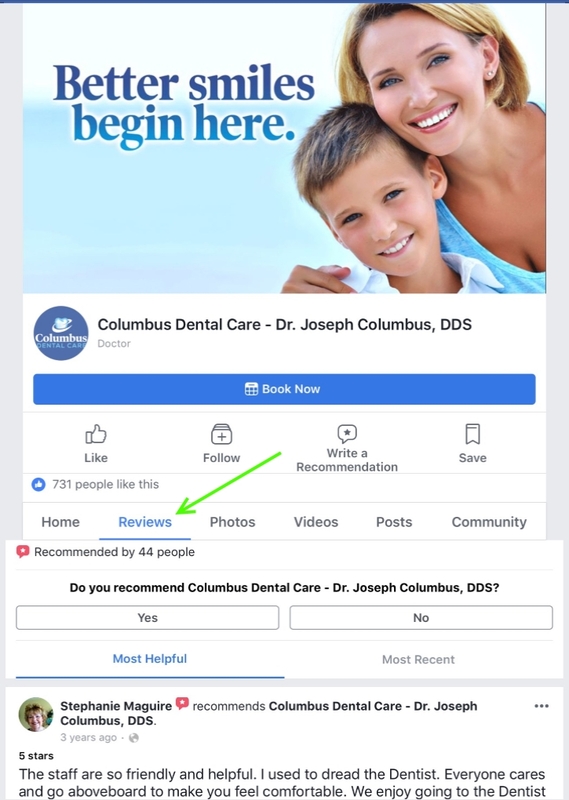 If you have a Facebook account, it's fast and easy to review Columbus Dental Care on Facebook, and you don't even have to "like" us or "follow" us to do it (although we're thrilled if you like us on Facebook). Facebook reviews are public, and do feed into our Better Smiles page, so keep that in mind if you want to protect your privacy.